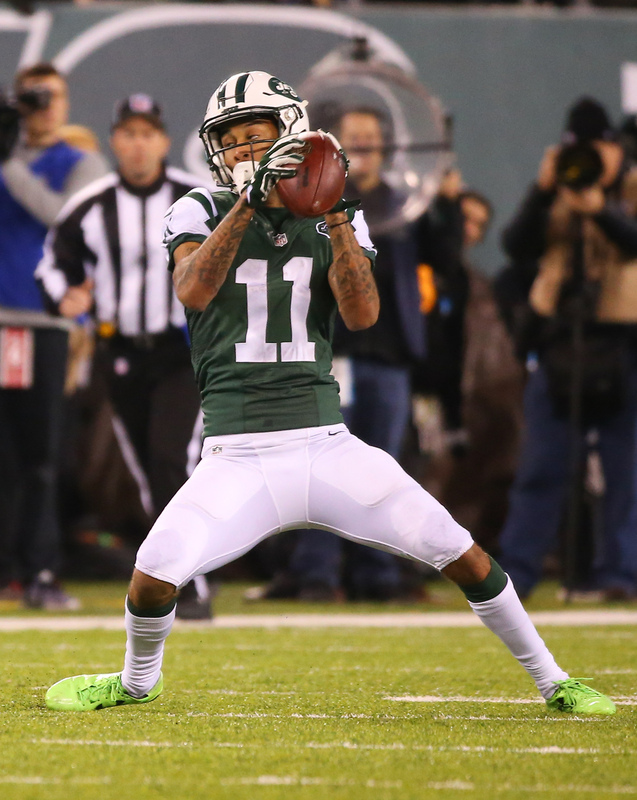 The Jets announced that they have applied the second-round tender to wide receiver Robby Anderson. The one-year tender will pay Anderson $3.095MM for the upcoming season. As a restricted free agent, Anderson can negotiate with any club through April 19. If he signs an offer sheet with a new club, the Jets could match the offer to keep him. If the Jets do not match such an offer, they will receive a second-round draft choice. While Anderson has talent, it seems unlikely that a team will offer him substantial money and forfeit a valuable second-round pick in order to add him. Anderson, 26 in May, made some noise in 2017 with 63 catches for 941 yards and seven touchdowns. He had a quieter year in 2018, even as his off-the-field antics made noise in the New York tabloids. He finished out last season with a 50/752/6 stat line across 14 games. With upwards of $100MM in cap room – and even more flexibility remaining – the Jets can easily afford to keep Anderson in the fold at a ~$3MM rate. Rob Gronkowski‘s contract has come up in several news cycles in recent years, the all-world tight end still being attached to a deal he signed back in 2012. But the future Hall of Fame Patriots pass-catcher said he wasn’t agonizing over the team adjusting his deal, which it did for the second straight year via incentive package. Gronk did sit out the voluntary portion of New England’s offseason program and considered retirement, but he says the drama’s in the past as he prepares for his ninth NFL season. Gronkowski also said had he not been satisfied with his situation, he would have followed Aaron Donald and Khalil Mack‘s footsteps. The Dolphins submitted an unsuccessful waiver claim for a Bills cut, linebacker Tanner Vallejo, Barry Jackson of the Miami Herald notes. Vallejo ended up in Cleveland because of the Browns’ top waiver priority position, one they’ve used frequently over the past week. Miami also wanted to keep two of their own cuts — running back Buddy Howell and tackle Eric Smith — but saw the former land with the Texans via waiver claim and the latter end up choosing to sign with the Patriots’ practice squad instead of the Dolphins’. Dolphins skepticism is rampant around the NFL-following world going into this season, with Miami sitting as one of Las Vegas’ longest-odds Super Bowl propositions, but one reason the team believes it will improve from a disappointing 2017 is its offensive line. The Dolphins believe Laremy Tunsil is set for a “monster” season and that Daniel Kilgore has filled in nicely for Mike Pouncey — as both a leader and a player, Armando Salguero of the Miami Herald notes. Kilgore and Josh Sitton are now in place on a Miami front that’s endured questions about its interior line — be it Pouncey’s health or guards’ underwhelming performance — for years. Shifting back to practice squad gets, the Jets paid a premium for two of their 10 taxi-squadders. Defensive end Bronson Kaufusi and running back De’Angelo Henderson will make four times as much as league-minimum practice squad players will, with NFL.com’s Tom Pelissero reporting (via Twitter) Kaufusi will earn $32K per week and Henderson will receive $30K per week. The practice squad minimum for 2018 is just less than $8K weekly. The Broncos liked what they saw from Henderson in the 2017 preseason, but the 2017 sixth-round pick did not see much game action behind C.J. Anderson, Jamaal Charles and Devontae Booker. Additions of Royce Freeman and UDFA Phillip Lindsay routed Henderson out of Denver this year. The Jets have one of the league’s least established tight end situations, but the team is high on rookie Chris Herndon, Albert Breer of SI.com writes. A fourth-round pick, Herndon’s caught the Jets’ eye as both a receiver and blocker and is a player the team believes will be a long-term cog. Jordan Leggett, a 2017 fifth-rounder, resides as the Jets’ other primary tight end candidate after Austin Seferian-Jenkins‘ defection to the Jaguars. The Ravens have announced four roster moves, and have trimmed their roster to the 75-player maximum. As such, Baltimore is done with transactions until this weekend, when all clubs must move to 53 men. Taliaferro will miss the first six weeks of the season, but can then be activated to the Ravens’ active roster. Kaufusi was Baltimore’s third-round pick this year. 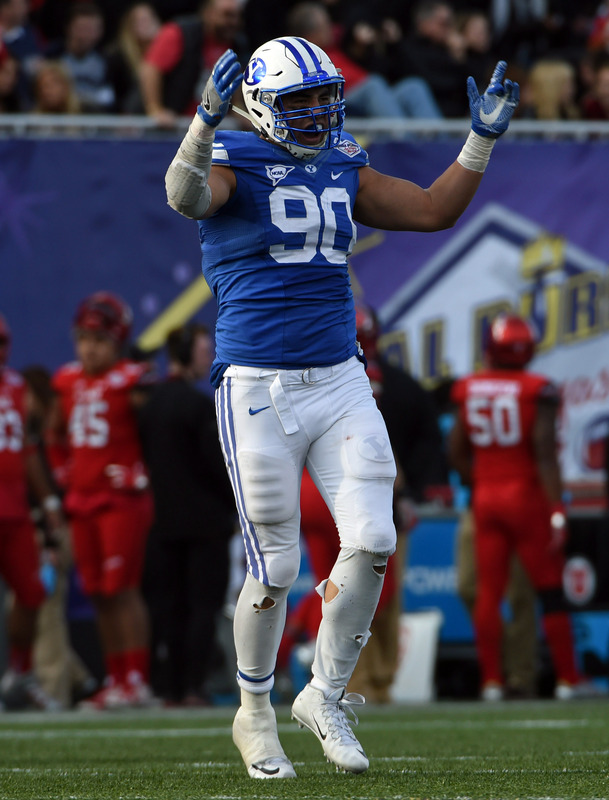 Sadly, Bronson Kaufusi‘s season is over before it could even start. The third-round defensive end is likely done for the year thanks to a broken ankle, coach John Harbaugh told reporters on Thursday morning (via the Ravens on Twitter). Kaufusi, a defensive end out of BYU, went on a Mormon mission before starting college and was one of the oldest player’s in this year’s class at 25 years old. Before he landed on the NFL radar, Kaufusi his split time between football and basketball. Once he zeroed in on football, he attempted to drop down in weight and shift to outside linebacker, but that experiment did not work out. Still, Kaufusi impressed as a bookend and despite projections that he would go in the fourth or fifth round of this year’s draft, he wound up being selected with the seventh pick in the third round. Kaufusi was expected to be in the rotation at DE for Baltimore this year, supporting Lawrence Guy and Timmy Jernigan. With the rookie sidelined, there should be greater opportunities for 2014 fourth-round pick Brent Urban, fifth-round rookie Matt Judon, and Kapron Lewis-Moore. The Ravens announced that they have signed third-round pick Bronson Kaufusi. Kaufusi was the team’s last unsigned rookie and the Ravens have now inked their entire 2016 draft class. Kaufusi, a defensive end out of BYU, went on a Mormon mission before starting college and is one of the oldest player’s in this year’s class at 25 years old. Before he landed on the NFL radar, Kaufusi his split time between football and basketball. Once he zeroed in on football, he attempted to drop down in weight and shift to outside linebacker, but that experiment did not work out. Still, Kaufusi impressed as a bookend and despite projections that he would go in the fourth or fifth round of this year’s draft, he wound up being selected with the seventh pick in the third round.